Don’t know where to start with your own spring cleaning? Try breaking it up into small, manageable bits by assigning just three tasks to each weekend in March. Follow my week-by-week checklist below to restore order and cleanliness to your home and prepare for a relaxing, rejuvenating spring! I know, I know. We all hate to clean the fridge, but what better time to do it thoroughly than spring cleaning? Start by cleaning out the freezer. Although the USDA says frozen foods remain safe to eat indefinitely, you do start to sacrifice taste and food quality after a certain amount of time. Use their chart to determine whether to throw away that casserole in your freezer. Next, clean your freezer with a sponge and 1:3 mixture of vinegar and water (vinegar is safe on areas that touch food and will remove stains and odors). Repeat with your refrigerator. 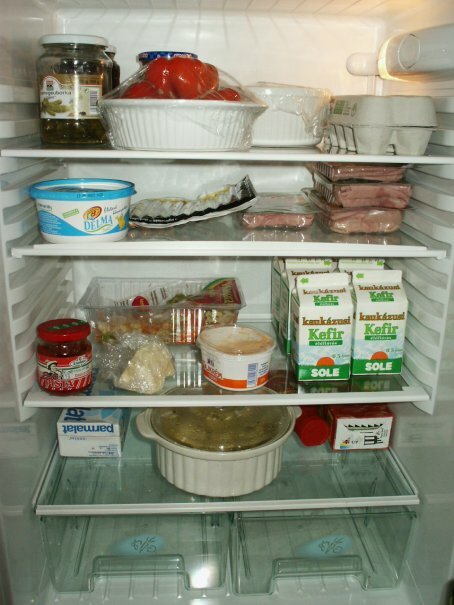 Finish by dusting the top of the fridge, wiping down the sides, and vacuuming your refrigerator coils. Added bonus: Keeping your coils clean can help your refrigerator run more efficiently, saving you money. “Cabinets” is a broad area to clean, I know. My advice pertains more to organizing your kitchen cabinets than to cleaning the outside of them, however. Attack your spring-cleaning cabinet organization by assessing the problem areas (junk drawer, Tupperware cabinet, or pots and pans cabinet, for example). Try to articulate what the problem is, and why it’s a problem for you. For example, my pots and pans cabinet is in shambles because my BF loves to throw things in there all willy-nilly after they come out of the dishwasher. Think of a solution that might address the root of the problem. For me, that would involve either buying a pot rack to hang my pots and pans (one per hook; problem solved!) or making clear dividers in the cabinets (skillets on the left, sauce pans on the right, thank you very much). It could be as simple as delineating the spaces with two tablecloths, or could be solved with an organizational tool from the store. I clean my closet every six months or so but still seem to find a bounty of clothes to discard after each go-round. To decide which pieces to keep and which to give away, I go with the six-month rule: If I haven't worn it in six months, I probably won't miss it if it goes. In fact, I can't ever remember thinking, "I wish I had kept that out-of-date white sweater; it would go great with these shoes!" After a healthy wardrobe trimming, switch out your winter clothes for the lighter-weather wear. Decide whether you’re a person who likes to organize by color or by type. Store out-of-season clothing under the bed or in an out-of-the-way spot. Dresser drawers are kind of like kitchen cabinets and luckily, you have experience organizing those from week one. Do the same for your boudoir boxes and systematically identify problem areas, causes, and solutions. In my case, my sock drawer is a real pain. I have trouser socks, warm fuzzy socks, and running socks all jumbled together in one, socky mess. A simple solution is to sort socks by use (work, casual, and running) and divide the drawer according. For a budget-friendly solution, try using shoe boxes, pencil organizers, or tissue boxes. There is conflicting advice on whether you should flip your mattress every so often in order to lengthen its useful life; I’m in favor of the practice. You might also want to vacuum your mattress using the upholstery attachment on your vacuum cleaner and then cover your mattress with a good cover to help keep dust mites and allergens at bay. While you’re at it, either replace old pillows or check to see whether you can wash them (most types of pillows, whether made from natural or synthetic materials, are machine-washable). 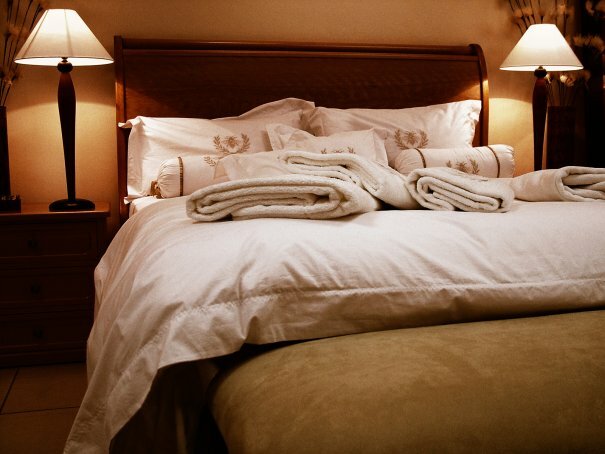 Lastly, change out your warm, winter blankets and comforter for lighter bedding. Of all the tasks on my spring cleaning list, this is the one I dread the most. On the other hand, I know it will feel amazing to finally have my file drawers organized. During week three of March, organize your file drawer. 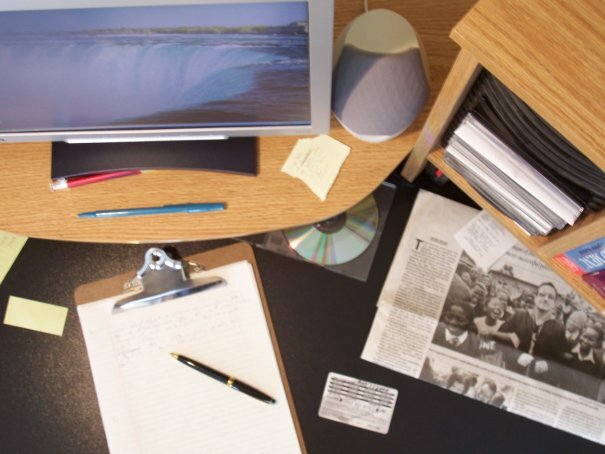 If you don’t have a designated file cabinet or file drawer, you should. Motivate yourself to organize by buying brightly colored labels (I love Post-It® Filing Tabs! Download coupons here.) and hanging file folders. Then, get to filing — my folders are divided by categories like insurance information, taxes, medical bills, receipts, coupons, etc. If you already have a filing system in place, use this time to go through documents and shred what you no longer need. Here is a list of how long to hold on to important documents. Spring cleaning isn’t just about cleaning your physical space; it’s about the electronic sphere, too. There are a number of quick tasks you can do to improve the speed of your PC or Mac, including getting rid of unused files and programs, cleaning up your desktop, and defragmenting your hard drive. After you’ve improved the speed of your computer, keep it safe by updating your antivirus and anti-spyware software. Top Ten Reviews has a comprehensive list of the best antivirus and anti-spyware programs available, while PCWorld has reviews of the best free antivirus and anti-spyware out there. Finally, don’t forget to put a file backup strategy in place, so you don’t lose all your important electronic documents or programs. If you’re a homeowner, you’ll want to periodically clean out your gutters in order to prevent water damage to the roof and walls of your home. DIY Network has a great tutorial on cleaning and repairing your gutters yourself. As the weather gets warmer and the days get longer, let in more sunlight by cleaning the outside of your windows. Start by clearing away cobwebs and debris using a soft cloth, then clean the glass itself using a window-cleaning product or a 1:1 mix of vinegar and hot water (vinegar to the rescue again!). Make your job easier by purchasing a squeegee to wipe of excess water and prevent streaks. Wipe dry. Nobody likes to sit on a dirty, mucky patio chair. 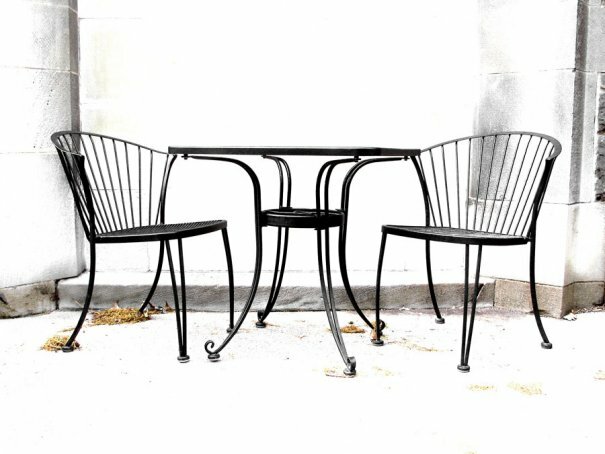 Increase the chances that you’ll make use of your outdoor spaces this season by cleaning your patio furniture. Mix dishwashing liquid with warm water and use this with a brush to scrub tables and chairs. While you’re at it, clean up your porch or patio by clearing away debris and sweeping the area. Treat stains with a 1:3 mixture of bleach and water and scrubbing the area with a hard-bristle brush. Do you do spring cleaning each year? What tasks are on your must-do list? Share your thoughts in the comments! I try to clean the inside of the windows and wipe down the blinds. Amazing what clean windows will add to a house in terms of sparkle!